Held in early March, this is the first scheduled Event Ride each year for the QCBC. Distance is approximately 25 miles, with shorter options available. We tour the islands on the Mississippi river and then meet for a group lunch and prize awards. Ride in your best Irish green for this event. 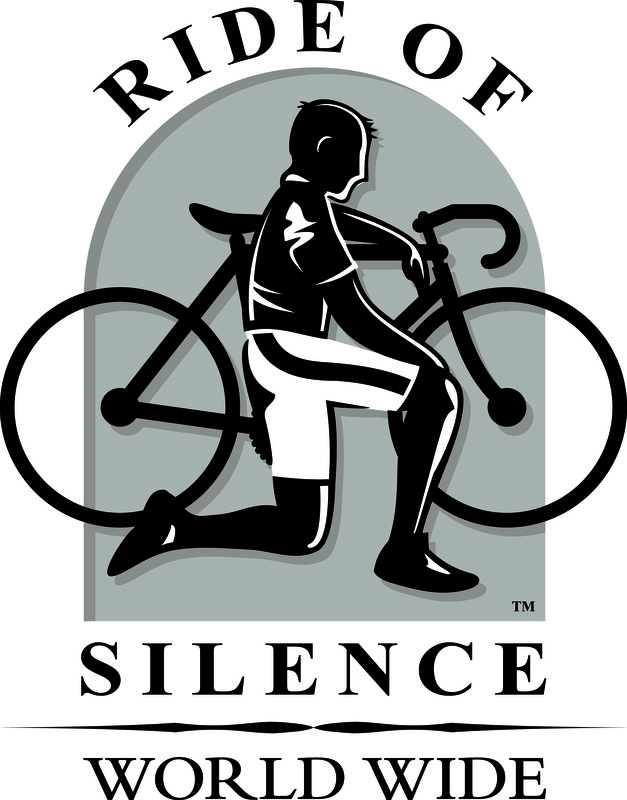 The Ride of Silence is a free ride that asks cyclists to ride no faster than 12 mph, wear helmets, follow the rules of the road and remain silent during the ride. The ride, which is held during National Bike Month, aims to raise the awareness of motorists, police and city officials that cyclists have a legal right to public roadways. Cyclists will take to the roads in a silent procession to honor cyclists who have been killed or injured while cycling on public roadways. Although cyclists have a legal right to share the road with motorists, the motoring public often is not aware of these rights, and sometimes not aware of the cyclists themselves. Started in 1996 these are one-day century rides with a lunch stop provided. Bus(es) and truck(s) take the riders and their bicycles out 100 miles into the wind. 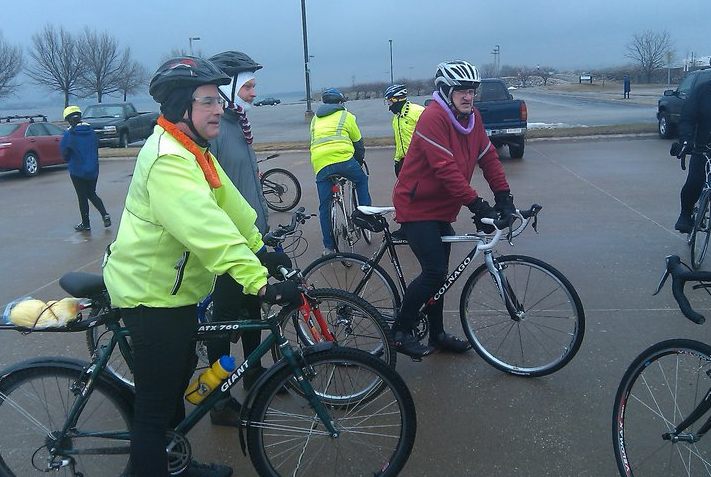 From there they ride back with the wind to the starting point in the Quad Cities. There is no follow up sweep on these rides it’s your responsibility to get back to the starting point, therefore riders must have a SAG plan and an emergency contact available. The rides are held typically the first Saturday in May and the first Saturday in October. TOMRV is the Tour of the Mississippi River Valley, QCBC’s premier weekend tour and a Midwest cycling tradition since 1978. The ride is held the second weekend in June. 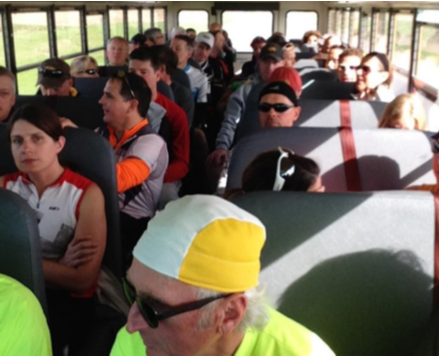 Each year about 1,000 bicycling enthusiasts from around the Midwest come to ride the TOMRV tour. They enjoy a challenging ride on scenic roads, through Midwest farmland, and along the Mississippi River. Riders may choose one of 2 routes -196 total miles or 115 total miles. The longer route starts at Scott Community College in Bettendorf Iowa and the shorter route starts in Goose Lake Iowa at the high school. Saturday’s routes take riders across the Mississippi river twice and meander from Iowa, to Illinois, to Wisconsin, and back to Iowa. Each route leads to Clark University in Dubuque Iowa, where riders share their riding experiences of the day and enjoy music at the TOMRV beer garden. Riders may choose to camp on site (showers are available) or stay at a nearby local hotel. Shuttle service to hotels is available. Sunday’s route stays solely in Iowa. On both days, the routes pass through numerous small towns and riders are welcome to explore on their own. TOMRV is known for its friendly volunteers, Midwest hospitality, and very well-supported SAG stops. SAG stops are placed along the route to support the nutritional needs of riders and keep you going. Riders find a wide variety of snacks, fruit, Gatorade, water, and sandwiches to provide the fuel you need. A frequent comment that volunteers hear is that TOMRV has the best SAG stops of any weekend ride in the Midwest, and maybe beyond. Local bicycle shops provide technical support to riders on both days. 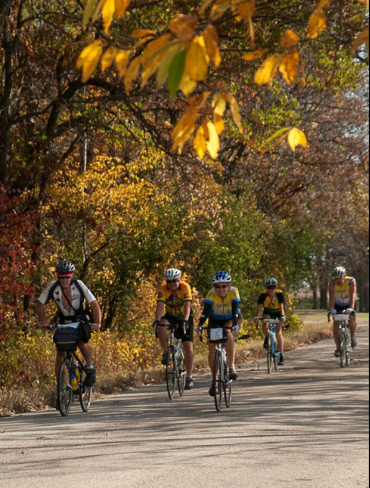 The club’s Fall Century ride is held in September. The starting location is at the Geneseo Brewing Company, in beautiful downtown Geneseo, IL. Ride a short family ride, metric century, or complete all of them for a full century. Riders can choose any of 4 of the “clover leaf” loops that add up to 100 miles. A centrally located SAG stop with the fuel and rest area to help you keep rolling back out on the course for more. After riding enjoy a free lunch, some cool refreshments and live music at the Geneseo Brewing Company. Started in 1981 the Fall Foliage Ride had explored various parts of Wisconsin during the autumn season. The QCBC’s annual Fall Foliage Ride is a chance to enjoy fall colors while riding county roads on relatively hilly terrain. Ride distances are 40-50 miles each day. The Military Ridge Trail is an option for cyclists that prefer crushed limestone trail riding but does requires a trail pass. The ride is normally scheduled for the second weekend in October in the Mt. Horeb, WI area.